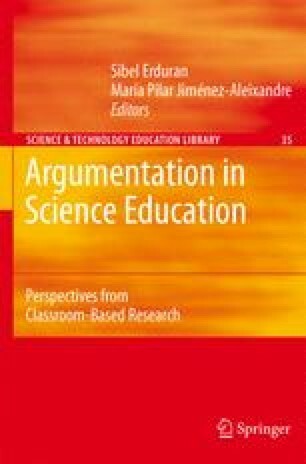 The basic premise driving this work is fairly straightforward: that contextualized argumentation in science education may be understood as an instance of education for citizenship. If one accepts this premise, then it becomes essential to present to students the humanistic face of scientific decisions that entail moral and ethical issues, arguments and the evidence used to arrive at those decisions. Separating learning of the content of science from consideration of its application and its implications (i.e., context) is an artificial divorce (Aikenhead, 2006; Zeidler et al., 2006).